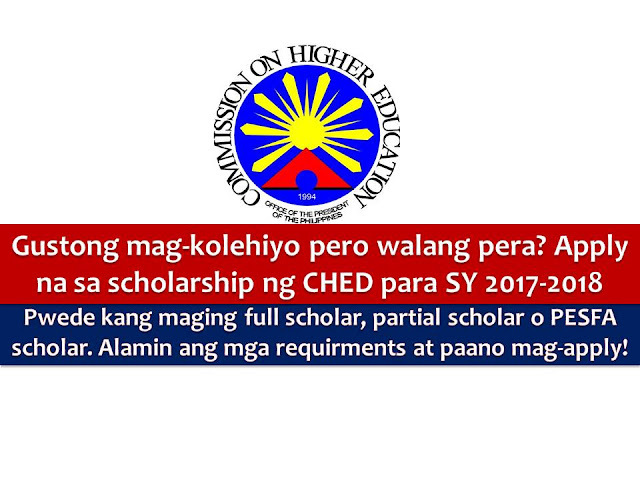 Since the program is merit-based, CHED will consider the academic performance of the applicant. Aside from this, he or she will have to submit the annual gross income of his or her parents/guardians. Certificate of Indigency from their Barangay, Case Study from Department of Social Welfare and Development (DSWD), or Affidavit of No Income. III. If you are qualified, accomplish the CHED StuFAPs Application form. Download the form here. IV. 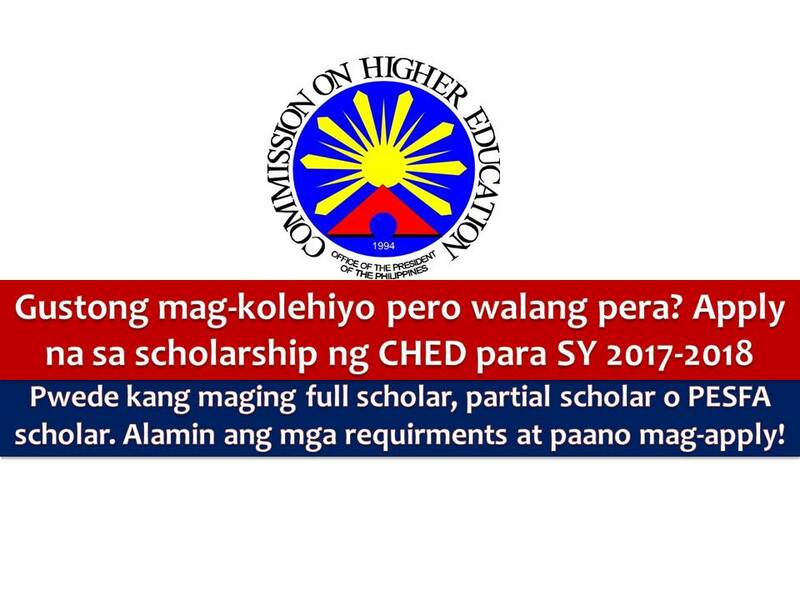 Submit the accomplished Application Form, together with pertinent documentary requirements, directly to the CHED Regional Office concerned. All applications must be submitted to CHED. The deadline for submission of requirements is on April 28, 2017.